This isn't about being in charge of a group, it's about being part of a group. It's about your responsibilities as an individual member and the roles that must be taken for a group to function safely and efficiently. Even novices have a role, one they're normally not even aware of, but once you've learned enough to no longer call yourself a novice, you need to be aware of what you are doing in relation to the rest of the group. Awareness is the key word. The most important skill to have when it comes to safety is the simple awareness of what hazards are out there and what everyone is doing to avoid them. That means you need to be aware of where other people in the group are, what they are doing, and how you fit in to the larger picture. It doesn't matter if someone is 'in charge' (whether a paid instructor or just the most experienced paddler), everyone has a responsibility to work with the group. That responsibility could be as simple as doing what you're asked, or it could mean positioning yourself where you could lend aid if needed. If you're not sure what you should do, ask. Ask anyone. You might not get the right answer, but at least it will start the right conversation. When I teach or lead a group I'm responsible for its management. Complete beginners are too overwhelmed by trying to figure out their paddle, their boat, the river current, remembering technique, listening to my instructions, worrying about their safety - and a load of other things - to give much thought to other people. But my instructions include the simple idea that they should help out if they can do so without putting themselves at risk. I teach them from the start that we are all in this together, and while I'll be there to set safety and explain the risks, every boater should look after themselves first and others second. But it's still too easy for them to get in the habit of letting someone else evaluate the choices and make decisions for them. It's a habit I try to break before it forms, but it's after they leave my class that it really matters. 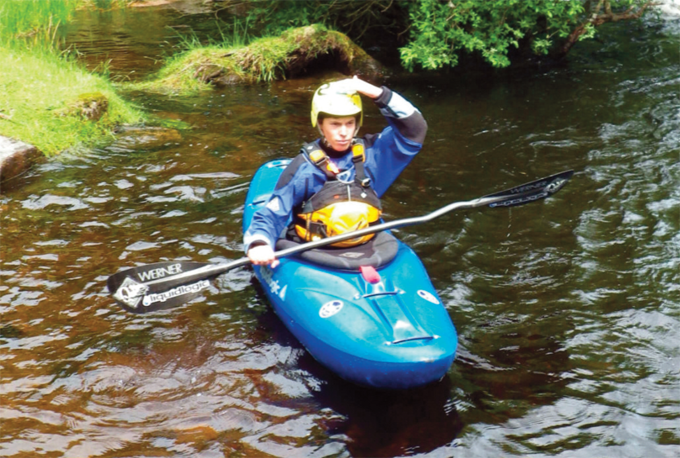 When people start paddling 'on their own', it's often with a more experienced paddler who takes the role of group leader. But let's look at what what you should do if you're NOT the leader, if someone else has more experience and better skills than you do. First, don't assume your 'leader' is right. Think for yourself and make your own decisions. Not all leaders are capable and even the best sometimes miss things. Speak up if you have questions and be honest in your self-assessments. It's ultimately you, alone in your boat, that runs the rapid (or portages), so never give up your own responsibility for your own safety. But if you do have a leader who is competent, listen to what they have to say. Most importantly, follow the plan, whatever it is. If everyone is going to stop above the rapid, you should too. If people are taking the left channel, don't be the only one to go right (or at least make sure you know what you're doing and so does someone else in the group). The plan doesn't have to be perfect, but if everyone is on the same page it will still work. If different people execute different plans, then none of them will work. Don't assume anyone will help you. Yes, people should help you, but if you blindly assume it, you're not likely to get it. If you actually ask, your chances of receiving aid are much higher. This might mean something as simple as stating at the start that you don't know the lines. 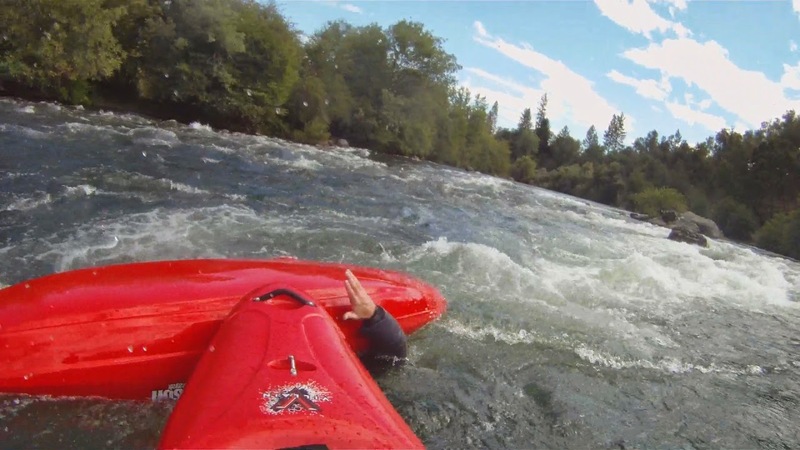 Or if your roll is shaky, maybe telling another paddler that you might need a bow rescue after the drop. And it's much easier for folks to help you if you are nearby, if you're listening to what they say, and pay attention to the river and what's coming up. It seems obvious, but I've paddled with enough newbies who I've had to chase down to inform them of a danger ahead and then repeat myself several times because some of them were busy fiddling with their GoPros when I described the line. Don't expect others to put themselves out to help you - make it easy for them. Help others when you can. Even if you're the weakest paddler in the group, you can be helpful. 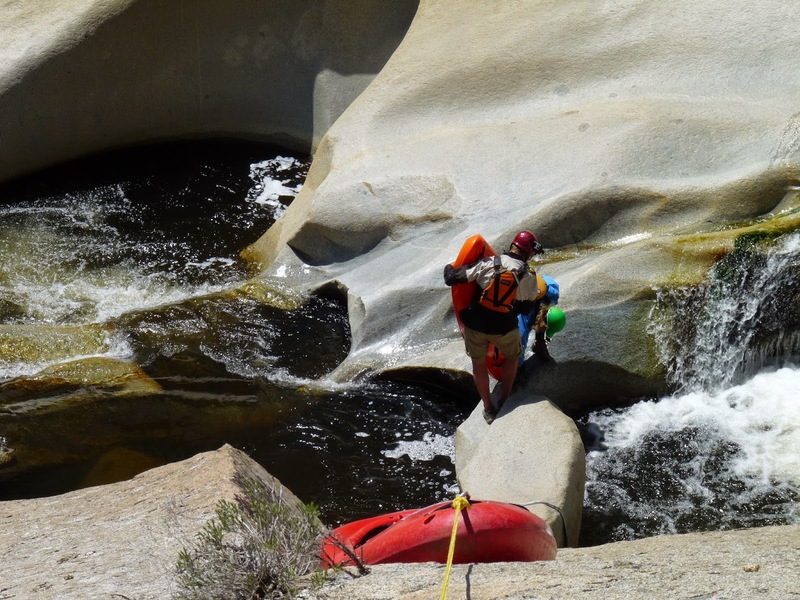 Take a rope with you when you portage so you can set safety for those running the rapid. Grab a rock when you're in the eddy so the next person can hold onto you. Relay signals so everyone knows what's happening. Try to lift your focus above your own concerns and pay attention to the bigger picture - not only will it help the group, it will ultimately help your own paddling as well. What if you are the most experienced paddler in the group? Or have the best roll? Or just know that river better than the others? Are you the LEADER? Not necessarily - it's not really about leaders and followers. If you want to step up, take charge, and direct the group, that's great. But not every trip needs a designated leader, and no one person needs to take all the responsibilities on themselves. But just like adulthood, responsibility isn't something we can avoid, but we do have control over how we experience it. As I mentioned above, everyone has responsibilities, and most important thing is to make sure everyone is aware of that. But if you have more experience, more skills, are familiar with a run, or have newer boaters with you, share your wealth and you'll end up having a better time on the river. The main thing is to pass along information and make sure everyone is on the same page. You don't have to 'run' the safety meeting, but just call everyone together and start a discussion. Ask people where they're at mentally and physically. Tell people about the tough rapids, or suggest a way for the group to operate (point/sweep, buddy system, free-for-all). You don't have to set a bunch of rules, but if you bring up the subject, maybe offer what you think will work best, chances are everyone will either agree with whatever you want to do, or they'll offer a different solution (thus taking some of the responsibility off your shoulders). I think a lot of people are afraid of engaging others in this manner because they think it means they have to make all the decisions and look after everyone else. But ignorance is not bliss - if someone swims, you'll still have to help them. But if you know someone has a weak roll and doesn't know the line, perhaps you can tell them the easy route and be there for a bow rescue - saving everyone time and trouble. If you don't want any responsibilities for anyone else in the group, then you're basically paddling on your own - an incredibly risky proposition. Most of us love the camaraderie we find on the river, and part of that is the understanding that we all look out for each other. It's not about everyone contributing equally, but everyone contributing their best. Some days you'll have more to offer, some days you'll receive more help. The more you give back to newer boaters the more you'll find the paddling community giving you what you want. And what if you are the LEADER (in all capitals)? That's a lot longer discussion and a two day course on the water (as a start). Professionally leading folks down the river is a challenging endeavor that requires lots of hard skills and even more soft skills, more than I can even touch on in a blog post. The truth is that if your group takes responsibility for themselves and everyone has the necessary skills to handle that run, it really shouldn't take much effort to lead them. It's when you're teaching the necessary skills, or everyone just depends on you for their safety, that things become harder. All I'll say is that if you are going to take that role, make sure you have what it takes to handle it. A bad leader is often worse than no leader. There's an acronym we use on the ocean called CLAP. I'm not big on acronyms, but the ideas are simple enough and worth noting and remembering. It starts with Communication. On the river, that starts before you hit the water. People in the group should know if it's your first time on that run, if you have a reliable roll or not, if the difficulty of the run is at your limit, if you have a bad shoulder and can't paddle very hard, anything that might impact the group as a whole. Everyone should know everyone else's background, so they can act accordingly the rest of the trip. If I'm sitting above a hard rapid with someone who's never run it and is doing their first class IV, I'll treat them differently than if it's a hard-core class V boater who's done this stretch a million times. Most people will offer help and support, but only if they know it's needed/wanted. Communication continues as you put on the river. A good thing to talk about is safety equipment - who has what? Does anyone have a spare paddle? First aid kit? Pin kit? If you have nothing, you might want to stick close to someone who's more prepared (and you might want to learn a thing or two from them). And you always need to go over signals. Even if everyone knows everyone else and thinks they all use the same signals. There are some pretty standard ones out there, but there are a lot of little variations that are quite useful if everyone knows them and potentially dangerous if folks get confused. Take sixty seconds and review them with the entire group. The L in CLAP stands for Line of Sight. It doesn't mean that everyone has to be able to see everyone else, but there needs to be a chain so that everyone has some pair of eyes on them. If I can't see Jimmy, I can at least see Suzy and she can see Jimmy. If something happens to Jimmy, Suzy can pass the word on to me and I can pass it on to others and we can help out as a group. No one should be all alone and out of sight of the group. A is for Avoidance (or Awareness). The idea is that it's easier to stay out of trouble than it is to get out of trouble. In order to avoid risk, you need to be aware of what it is. The truth is that as kayakers we often put ourselves at risk - that's what running a rapid is - but we need to carefully choose what risks are acceptable and to do that we need to be aware of what all the risks are. Does everyone see that strainer just below the surface on river right? (That's a good time to use your Communication/Line of Sight skills to make sure). Avoidance goes beyond specific hazards. It also means having the common sense not to put on a swollen river in the rain if no one has done it at a high level. It means not putting yourself at risk by doing something that the rest of the group isn't comfortable with. Think about things before you do them (and think about yourself before blindly following others), and you'll be able to avoid a lot of the dangers before they materialize. The P to end CLAP is Position. It really refers to the position of most usefullness, and it applies to everyone in the group. It means you need to think about where you are in relation to others and how you could best help if things went wrong. Do you want to be in the lead (yes if you know the run or are a strong paddler, maybe no if it's your first time down). Do you want to be at the rear (sweep)? Do you want to follow that crazy guy in the little playboat? Or do you want watch from shore - ideally with a rope and in a position to throw it if the paddler swims at the big hole. 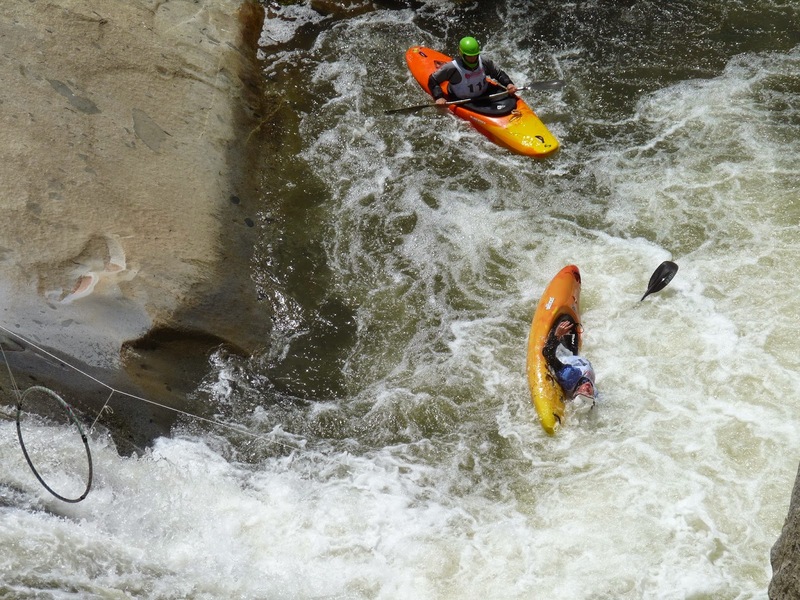 Do you want to catch that small eddy above the lip when three paddlers are following close behind you? Or maybe catch a bigger eddy a little sooner so you can give everyone the line? (or are you so close behind someone that when they catch that little eddy, you have no choice but to run the drop blind). Think about where you are in relation to everyone else, and what you would/could do if something bad were to happen. If you've Communicated to others about what the plan is, made sure that everyone has a Line of Sight to someone else, are Aware of and Avoiding the hazards, and Positioned yourself in relation to the rest of the group, you're much more likely to have a successful day and a good time together. That's CLAP. Here's a short video with a couple clips showing how awareness of others on the river can minimize time and trouble. California is in the midst of an historic drought that's greatly affected the everyday lives of many people in this state (we've had to move to a new rental 'cause our old place's spring was running dry, and many people have it worse). 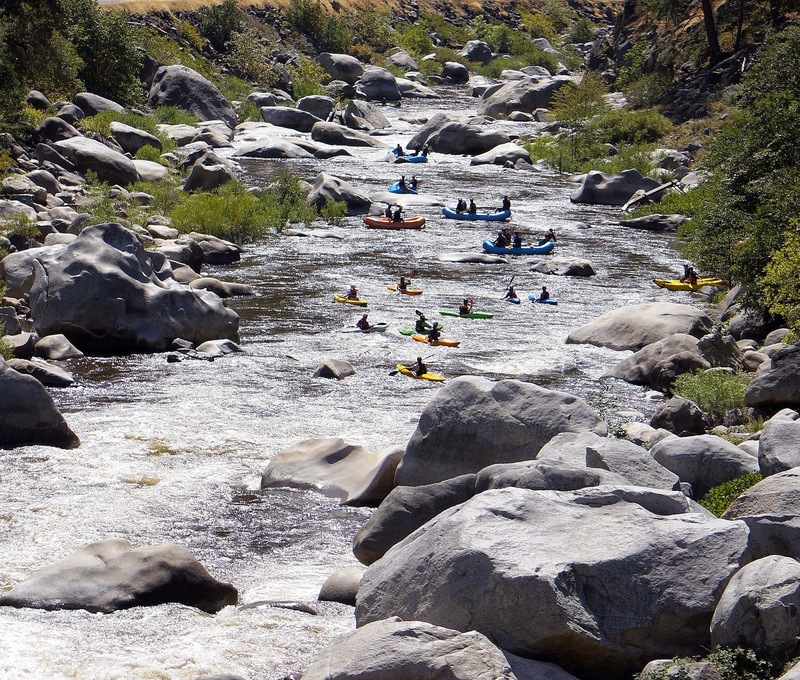 The lack of rivers to run seems like a small thing in the big picture, but kayaking (or lack of it) can be illustrative of many of the water issues in this state. There are lessons to be learned. With the snowpack long gone, little rain in the past six months, and temperatures at record highs, I still got out this past weekend to paddle a beautiful river with a solid flow - and it wasn't from draining down a reservoir. The Pit river is fed by a spring (technically the spring creates Fall River, which feeds into the Pit), pumping 1,000 cfs of clear water year round, regardless of the weather. This bounty of nature isn't normally left free to entertain the recreation desires of a few, but normally is re-directed into a series of canals and power stations, providing a reliable and (relatively) cheap source of electricity. Ultimately it feeds into Lake Shasta, the largest reservoir in California, where it is held with other rivers (Sacramento, McCloud) until released to create more electricity and irrigate the Central Valley of the state, the breadbasket of the country (read this article to be impressed and perhaps terrified of the importance of the area: NY Times/Everyone Eats There). This water is the lifeblood of our state, our country, and kayaking seems like a small need of it's power. But there's more power in kayaking than one might imagine. The flow on the Pit over the weekend was a scheduled release, the electric utility agreeing to let the water resume it's normal course for forty-eight hours so a few dozen people could come play. But we did more than play, and the power of the river that we soaked up lasts far longer than our time on the water. I had the pleasure to meet and boat with Dave Steindorf, the California Stewardship Director for American Whitewater, the nation's leading river-recreation advocacy group. AW had negotiated the release from the Pit, as they have negotiated many releases that provide kayaking opportunities in dry times. But these releases also provide water to the fish and moisture to the riparian corridors along the riverbeds. The create commercial rafting opportunities that generate millions of dollars in revenue for small communities and family owned businesses. They instill a love and appreciation of the power of the river and value of the water, and that is, perhaps, the most valuable thing we can take away. As a kayaker I could narrowly look at the river and see only how it serves me in my rather silly hobby. But dam releases help me see a bigger picture. I see the struggle to secure the public's right to that water; the demand of the farms for the most crucial ingredient to all other foods; the importance of the dam itself for generating electricity that we need and providing drinking water to the most populous state in America. I see beyond that, to the futility of relying on a desert to grow our food, to the long-term dilemma of sediment build-up and ever-increasing maintenance costs that hide the true cost of 'renewable' energy. I fear man's folly of taking water from its source to places that were not meant to have it, our false belief that we can always get around the rules of nature and thinking short-term solutions will eliminate the problem. 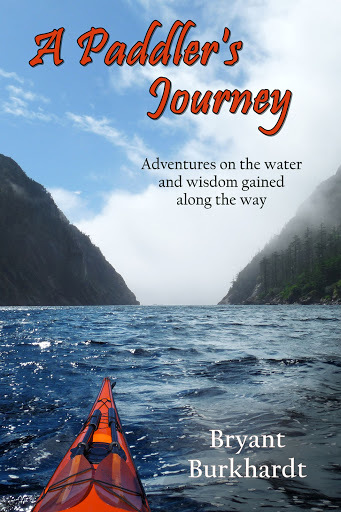 Water conservation and use is a large and complicated subject, worthy of much philosophical musing and en-depth study, and the joy of paddling a dam release leads one into an area of far greater impact on society. It's a trip worth taking. On the lighter side, the paddling was scenic and fun, the people as warm and friendly as the temperature, and the sense of river community held strong throughout. I had seen many pictures of the Falls, but felt no need to try the 30-footer, as easy at it looked. But the 'sneak' routes, both right and left, put a smile on my face. The fun class III-IV rapids, especially the quarter-mile long one after the Falls, kept me happy the entire run. It's a great river that will be going again in a couple weeks - get on it if you can and thank AW for one more opportunity to kayak (and all the others as well).